An insane action-comedy about a young lunatic director and his devoted cult of cinema terrorists who kidnap a movie goddess and force her to star in their underground movie. 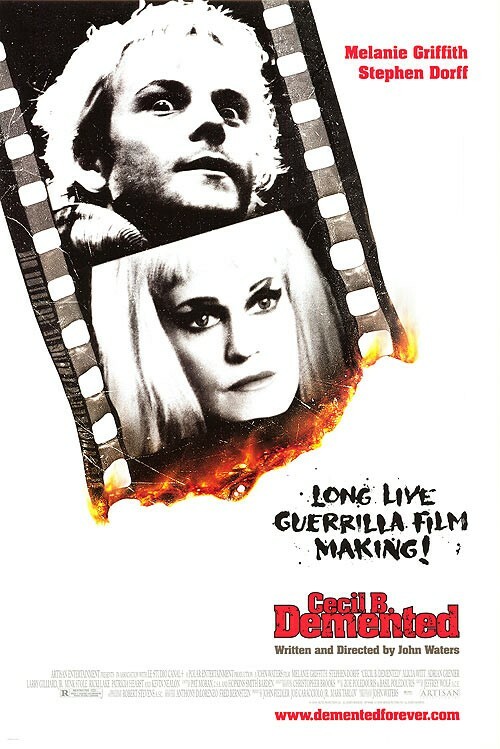 Vowing to punish the crass sins of commercial cinema, fueled by revolutionary zeal and their self-imposed sexual frustration, Cecil B. DeMented and his guerrilla production crew invade the streets of Baltimore to shoot their no-budget epic. When Cecil says "Action," he means action! Nothing is going to stand in his way.